Inspired by the rigors of the competition shooting sports such as IPSC and USPSA. Grip tape allows for better traction in adverse shooting conditions and allows for better recoil management. 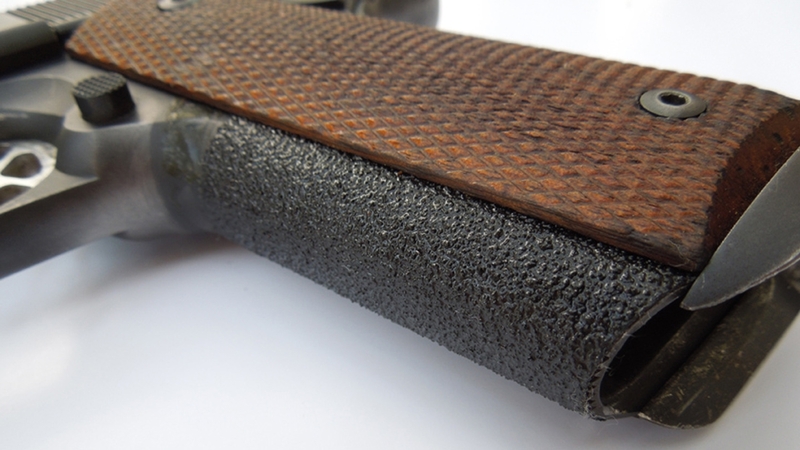 These grip tapes attach to your pistol with a peel and stick adhesive and does not interfere with normal operation. Each grip tape is one single piece of abrasive sand material that has been laser cut to precision measurements for the best possible fit. If your 1911 pistol does not have stippling or texturing on the front of the frame, you may not be getting the best grip possible. 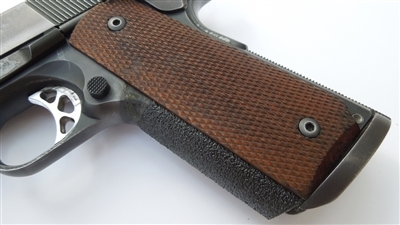 Our 1911 front strap wraps around the front of the pistol frame with the edges fitting under the grip panels for a clean look. Sold in sets of 2.